Enjoy the amazing sounds of Irish Country and Folk Music over this fabulous weekend in Blackpool. Your feet will be tapping and you will be singing along to all the favourites from different bands all direct from the Emerald Isle. No need to change your Euros, board a ferry or a plane we are bringing them to you. 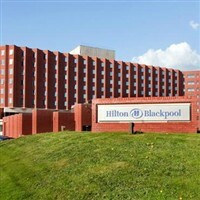 The Grand Hotel stands proudly on Blackpools famous North Promenade offering fabulous views out across the Irish Sea. Excellent facilities await including leisure club with indoor pool, gym, sauna & steam room, spa treatments available direct with hotel at a supplement. En-suite rooms offer flat-screen TV, tea/coffee making facilities and hairdryer. Lifts to all floors.